A pool inspection can save you money in the long run, because even though everything is running appropriately, you could still have problems that need to be addressed. Most homeowners have had their pool closed by this point, but if you haven’t, it’d be smart to consider an inspection before ending your season. When you take an initial look at your pool, it may seem like nothing is wrong to the casual eye. Potential hazards and liabilities are hard to spot, which is why you need to enlist the services of an inspection team. A pool inspection can save you money in the long run, because even though everything is running appropriately, you could still have problems that need to be addressed. How Does A Pool Inspection Work? 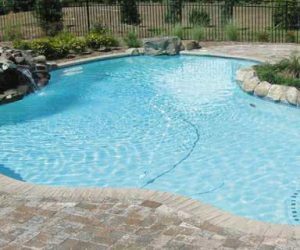 With a pool inspection, the first part of the process is understanding your pool itself. The team will have to gain clarity on the finer aspects of your pool, such as its size, depth, how much water it holds, how long you’ve had it, and who built it. The inspector (or team) will also analyze the equipment you have in place, checking to see if it’s current. The foundation of your pool is important, because its overall health can determine the lifespan of your pool at the current rate. Whether it’s wall cracks, an unstable filtration system or tears in the lining, those inspecting will search for anything that could lead to future issues. Essentially, everything that makes your pool run will be thoroughly analyzed. If a problem is found, don’t stress. You should actually feel relieved that it was found before anything catastrophic happened. Ask your inspector to show you the issue, and let them explain how it impacts the structure of your pool. Don’t brush off the issue, because then it could turn into something more severe. You should look to fix the problem immediately, especially before closing down your pool. Sunrise Premier Pool Builders Can Inspect Your Pool Today! Whether you need a new pool liner or are looking for the perfect pool for your home, Sunrise Pool Builders are here to help. We are happy to walk you through every step of the design process and ensure that your pool or spa meets the needs of every member of your family and all of the activities you want a pool or spa for. If you are ready to design the perfect pool or spa for your home, contact the experts at Sunrise Pools & Spas. For more information on our services, contact us online or give us a call at 410-349-3852. To see examples of our work, check us out on social media on Facebook, Twitter,LinkedIn, Pinterest, and Google+. This entry was posted on Friday, October 6th, 2017 at 2:55 pm. Both comments and pings are currently closed.